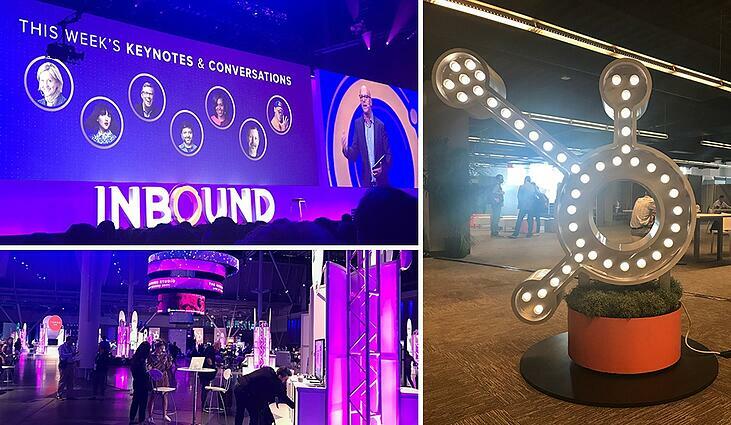 HubSpot has unveiled some hot new features and tools this week at the annual INBOUND event in Boston. And here are the details shared by our on-the-spot Cognition team. A new version of HubSpot Sales Professional has been released and provides an all-in-one sales toolkit. The ability to organise every detail about your prospects and customers by using HubSpot’s robust automation and management tools. Better time management for sales teams thanks to productivity tools like meetings, templates, sequences and inbox integration. Leveraging the power of machine learning to identify the best leads with predictive lead scoring. “Conversations” will be introduced to the HubSpot portal next year. It will appear as an extra tab and act as a shared inbox that will help your business have one-to-one conversations with customers. Storing messages from prospects and customers in a single, central place allowing you to view, manage, and reply easily. Seamlessly pulling conversations from every messaging channel, allowing you to bring any member of your team into a thread. Connecting all activity to the rest of HubSpot CRM, giving you full context on every contact. Integrating automating rules and bots to help you manage conversations at scale, route incoming messages and take care of simple tasks. HubSpot has acquired Motion AI, which enables businesses to better engage, convert, close, and delight their customers across every channel at scale. You’ll be able to build a chatbot to communicate with customers on their terms. A feature that will be built on top of Conversations next year, HubSpot’s new Customer Hub will enable you to make customers happier, improve retention rates and grow faster. It will make it easy to escalate an everyday chat into a case that can be managed efficiently and effectively. It will give you access to feedback and insight tools that you can deploy across Conversations, email and more, which will help you understand your customers better. Your team will move from frantically responding to tickets to delivering value to customers by using the central tools. And if that wasn’t enough, HubSpot Marketing is due to launch a whole new set of tools to improve your marketing efforts. Content Strategy: A new, modern approach to content and SEO that’ll enable you to get more traffic with less output. Campaign Reporting: A new reporting engine that will help you link marketing campaigns directly to traffic, leads and revenue. Facebook Ads: HubSpot’s segmentation tool will allow you to target ads on Facebook. Instagram for HubSpot: Coming soon to beta, you’ll soon be able to set up posts and get mobile reminders to publish your content on Instagram. Native Shopify Integration: You’ll be able to seamlessly sync product and sales data to HubSpot to benefit from analytics and workflow emails. To learn more about HubSpot’s announcements, click here, and to find out how we can help you manage your marketing efforts through the platform, read our blog here.